Storing perishables in a retail unit isn’t an easy task as it requires the right arsenal that will be able to do it successfully without damaging the produces. It becomes necessary to store fruits and vegetables in an open racking system where there is easy and free movement of air which is very essential to prevent decay and rot. Fruits and vegetable racks are different from the regulars in the retail outlets such as the gondola racking system, wall channel racks, four sided racks, etc. Fruits and vegetable racks must be designed such that it can store large sized varieties and produces at ease while still being able to accommodate the small sized ones. There are various fruit and vegetable racking systems available in the present day. Adequate Steel being experts in offering the right racking solutions for retail and industrial units offer quite a handful of options that can come in handy for any regular vendor unit of these perishables. 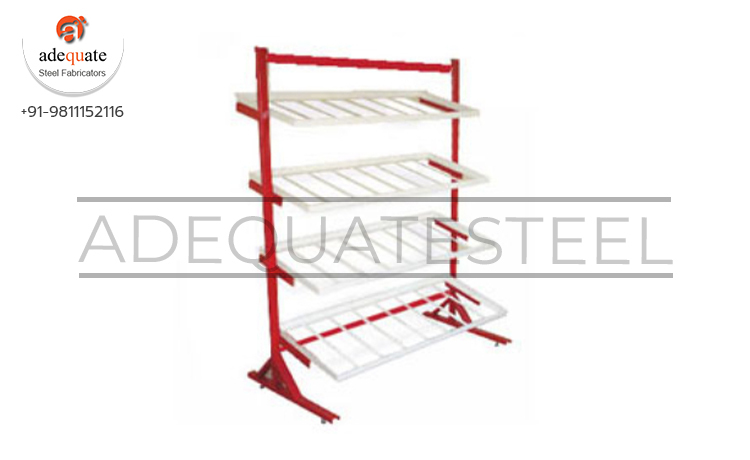 Fruit and vegetable adjustable racks, fruit and vegetable stainless steel racks, fruit and vegetable top canopy racks and fruit and vegetable tube type racks are some common types of racking systems that are offered by Adequate Steel. Amongst the different options fruit and vegetable tube type racks are handy as it is capable of storing both larger varieties of produces as well as smaller ones.